I met Illya Friedman from hotrodcameras.com last year when I went to Joshua Tree with a pre-production GH1. He had a PL lens adaptor for the GH1 and brought some very nice Glass with him. Well he has done something pretty serious here and taken a normal 7D and turned it into a serious movie making machine by removing the mirror box and replacing the EOS mount with a rugged as hell PL mount. This is serious stuff!! PL lenses, if you don’t know are positive lock lenses are the mount that cinema lenses use. There were a number of Panavision PL mount adaptors out there for the 7D but there were are molten down by Panavison! 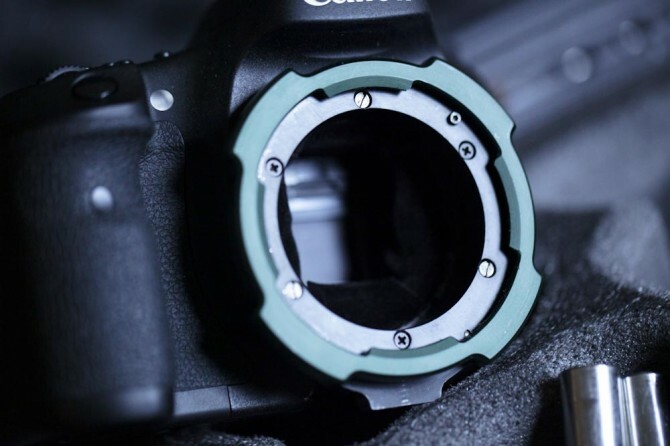 This means you can use the same lenses that you would use on 35mm film or cameras like the F35 on your 7D. This is not a indie filmmakers setup but if you are shooting a movie and want a B camera or two or three or you are using it as your A camera and you have the budget or access to high end glass then this is the way forward. The sensor on the 7D is similar is size to a super 35mm sensor hence that is why he has done this on a 7D, not a 1dmkiv or a 5d2 as their sensors are too big and vignettting will occur. His modification is really well done. Incredibly solid. Unfortunately as I have no lenses right now to use on the camera, I cannot test it out fully. But I will have some lenses next week. He charges 3k to mod your 7D or will sell you one all done for just under 5k with an extended warranty to cover the fact you have voided the Canon Warranty. Hard Boiled Sweets: Brit gangster feature film shot on the 5DmkII. An in depth look at making the movie. 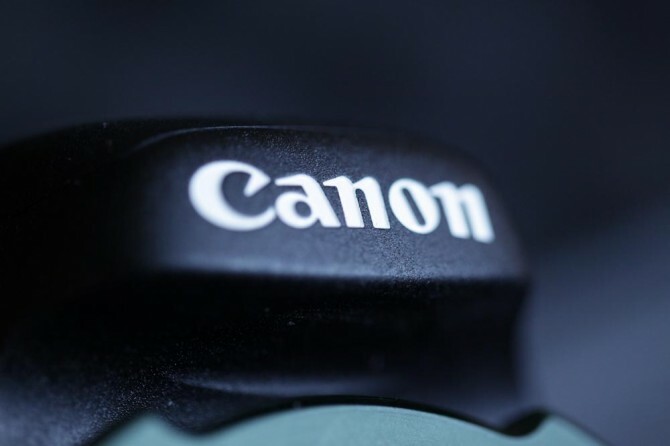 Someone’s not happy about the release of the Canon 7d! Wow, that looks top notch. Can’t wait to see some footage. Can’t wait for some insane footage! That’s fantastic. This helps the 7D stack up nicely against the 2/3″ Scarlet since they can both do PL (assuming the scarlet ever comes out…). There really isn’t a need to do this anymore if you don’t already have a set of PL mount lenses. The new Zeiss Compact Prime Cine Lenses are coming out in an EOS mount that can be switched back to PL. i have to disagree. these new zeiss compact primes are awesome but will mean buying a whole set of lenses just for this camera. the 7D-PL lets you use ALL PL lenses that are currently out there. I agree, if you already have access to a set of zeiss primes why blow another 15k+ on the new set. However, that article says they will come with the facility to swap out the mount to PL mount. Whatever that means, dual mount or option to buy separate mount. Either way, my camera will not be seeing the Zeiss primes we have at my work because the option is too pricey for me at them moment. Too bad they couldn’t get a hotrod adapter to work with a 7 or 5D. Sweet! Can this thing take all lenses with a PL mount? What about their adapter, can it be used on a 7D? I was reading an advertisement for a german made adapter, but it was only capable of attaching like 4-5 lenses. I don’t know if I would want to modify my camera, but I do have access to many PL mount cinema lenses. I can’t wait to see what you shoot with that thing! But yeah, I’m really lookin foreward to see some footy of that thing! Will the quality of the PL lenses give the 7d that much better a result compared to losing some of the color information of the 5d2? Can wait to see you work your magic with this one! How many of us have a ton of pl lenses sitting around gathering dust though? I think the new zeiss primes look amazing! Thx phil! 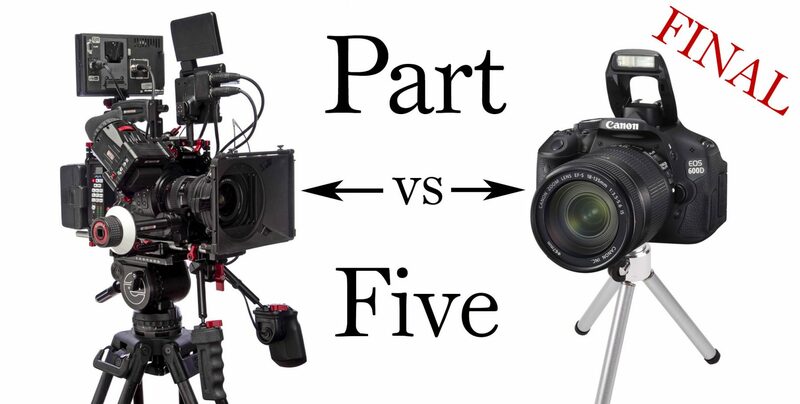 Are we talking 3k/5k for the just the modded camera or the rig and the box as well?? i used it just last week with anamorphic primes!! Coooooooool. Now I see what you were talking about in San Rafael. Illya makes awesome stuff. I encountered one of his support rigs in the wild at Macworld with a 5D and a Z-Focus and it was awesome. used it last week on a commercial very good results! I wonder if the PL lenses will give better results…If we take into account the sensor size it would be logical that Full frame lenses would give better results with smaller sensors due to the fact that the smaller sensor uses just the lenses “sweet spot”. 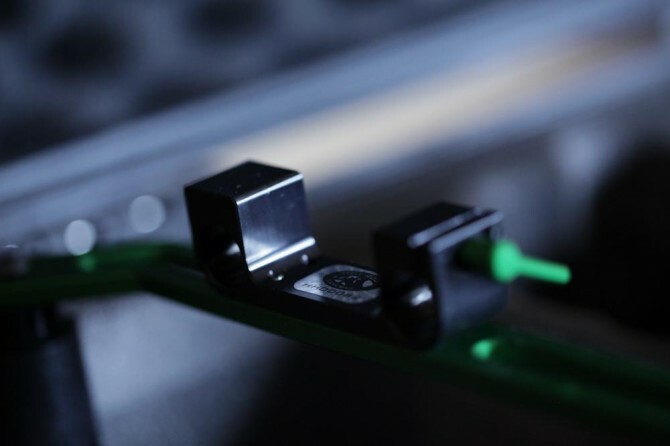 Why buying the PL except for better mechanical construction and tighter tolerances? I tried myself Zeiss Master Primes on my GH1 and the compared with the Zeiss ZF´s and couldn´t see any difference between both images. Certainly this adapter is a must for people who have all the PL gear or people who might rent the equipment. I have Illya´s PL adapter and rig for the GH1 and it is the best I´ve seen. wow, that looks so solid! I’m super excited to see footage! The PL mount was originally made by Arri, and is now found on many different cinema cameras, and used by plenty of lenses. Panavision cameras and Primo lenses use the proprietary PV mount, which is a similar idea but different and incompatible with PL. With this PL mod on the camera does it take away the ability to take still photographs since the mirror is gone? Also does this mod only allow for PL lens? 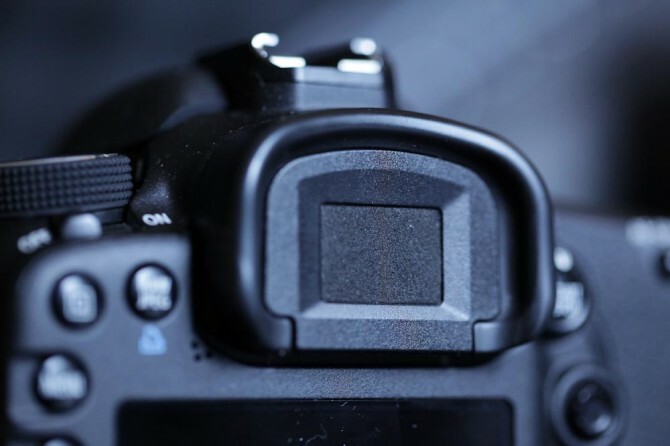 Can’t remove a top part for the normal EOS mount? Nope you can still take ‘stills’. We’ve been doing this for a long time now and have sold quite a few. We usually ship them within two days. We’ve shot many full scale productions with a wide variety of PL-lenses, including Arri Ultra Primes. We also have a BNCR lens version. 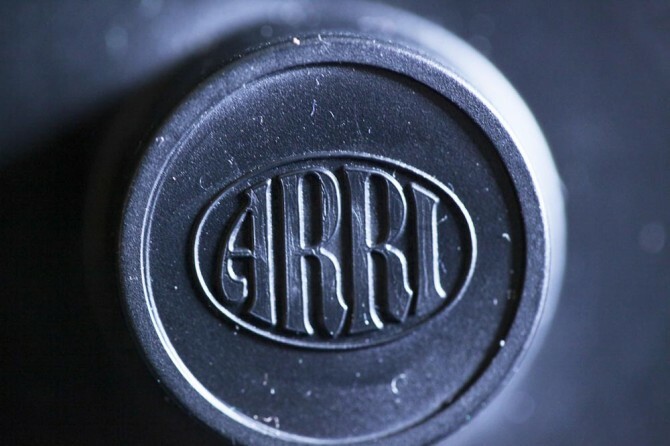 We use the Arri studio standard for our rod mount, so we’re set for 19 mm rods which are more common in filmmaking than the 15 mm rod video standard. We can also do uncompressed capture from the 7D using our proprietary software called Syndicate Capture Tool. It automatically, in realtime, removes any pulldown from 24p and 25p (this is the really tricky one) streams embedded in the canon’s 60i hdmi output. Now most computers can’t capture 100% uncompressed due to the data load, so we usually capture to Prores 422. The difference between that and uncompressed is virtually nonexisting. Demo version is available. I hadn’t ever planned to post all this in public, but since Syndicate brings it up…. As far as I am aware Syndicate is the only other company offering a PL modification for a 7D camera. Since Hot Rod Cameras announced the 7D-PL mod I have been receiving PL modified cameras from ANOTHER company, and requests to fix a great number of problems. Here are the main and important difference between what Hot Rod Cameras does and EVERYONE else. – Hot Rod Cameras professionally removes and cleaning of the inside of the lens cavity, the camera looks professional on the inside. As compared to looking like someone melted, hacked it up and left many gaping holes and reflective surfaces. – When you pick up a Hot Rod 7D-PL, it doesn’t sound like an etch-a-sketch. I hate to think of what those parts or bits of foreign material are doing to the sensitive internals in the cameras I’m being asked to fix. 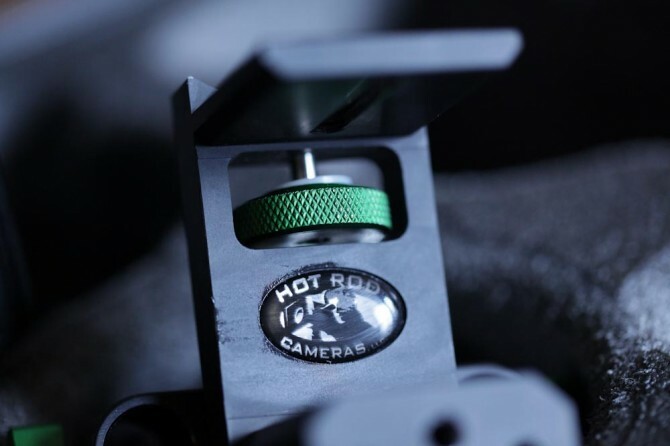 – Hot Rod Cameras masked the viewfinder and penta prism with an anti-reflective material. Unlike the cameras we are fixing for others- there are no light leaks in a Hot Rod 7D-PL, and there are no internal reflections from the penta prism or light meter. – More lenses are compatible with the Hot Rod 7D-PL, the Denz FDC is also compatible with the Hot Rod 7D-PL. This is not the case with EVERY other mod, entire series of lenses are not compatible with another company’s products. 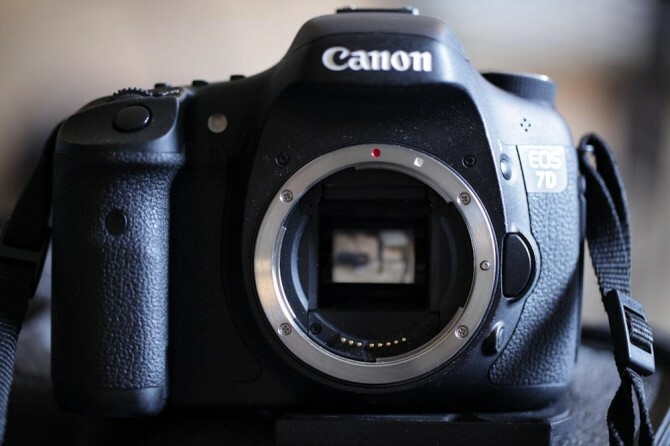 – The Hot Rod 7D-PL will very shortly be sold with the option of a warranty, not only on an “AS-IS” basis, unlike every other commercial mod. 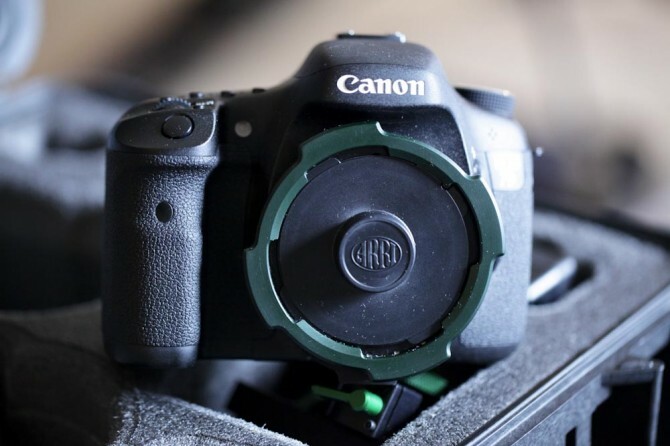 – Hot Rod Cameras allows any current customer to mod their 7D to a 7D-PL for only $2600, as they can use all the support equipment they already own, the 7D-PL is backward compatible to everything Hot Rod Cameras has already built, and is on the shelf at our retail locations. I could go on, but I think I made my point. Not sure if you ever came across this site Phil but they sure have some heavy killer pimped out 7D and 5D with an Anamorphic Lomo lens, and seems you don’t need to remove the inners of the 7D & 5D to use this adapter, it all depends on the lens and priced extremely cheap compared to others. Everyone should check this out! This is a very hot rig. I knew these DSLR’s would be revolutionary in a big way, but I never saw this coming. Has anyone tested the SLR Lens bundle Letus offers on the 5D or 7D? PL mounted 7Ds might be a tad bit to invasive for the indie filmmaker, but it sure is impressive.